After much development work, MARCH, my (Felix) individual round game is finally released, marking the culmination of our individual round games. Enjoy playing, and as always, please comment away or send us an email with your thoughts! After a bit of an absence, we return with our next individual project, Collect by me, Michael Lee. The game underwent a very long and interesting development process that I will be talking about soon, but until then please try out the game! Play it here or on Kongregate or on Newgrounds! Next up is Felix Park’s individual game coming sometime soon! 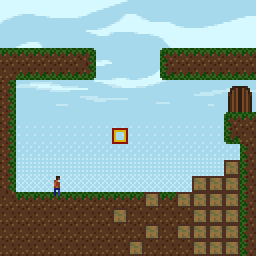 Emptiness is a flash game made using the Flixel engine in around 1 week and a half by me (Dan Lin). 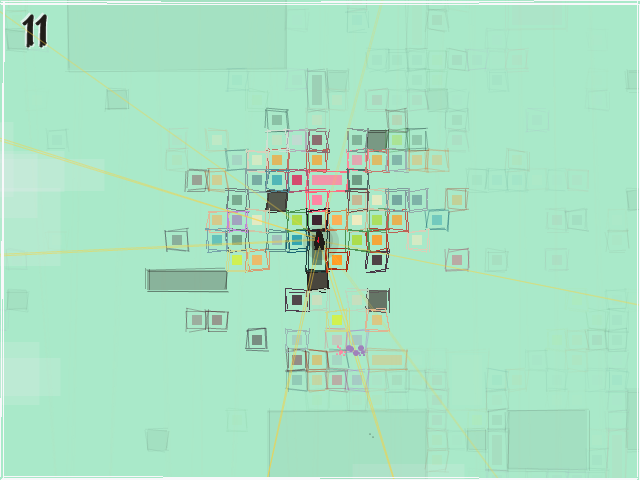 This game was an experiment to see if a game can be more meaningful if there is only one creator. The player is a square who has lost its center and the player needs to navigate through a dungeon and make friends in order to successfully find their center. 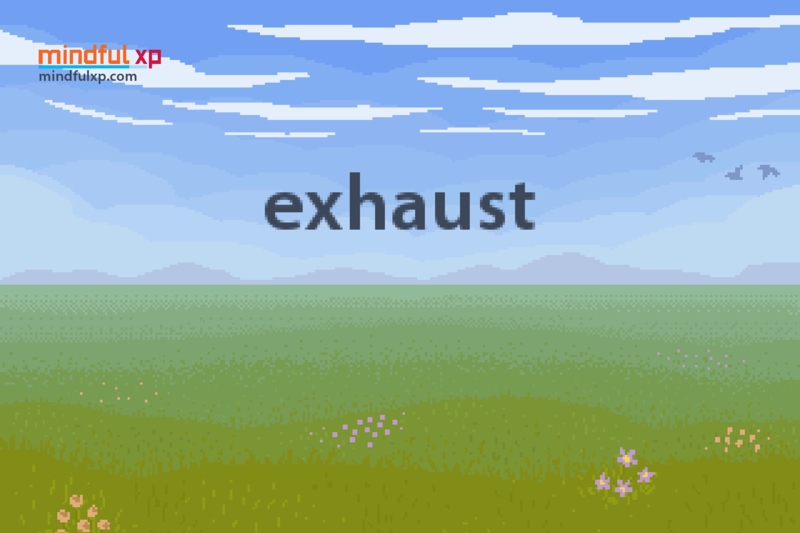 Exhaust is a short flash game made in 1.5 days by mindful xp. The player holds space to drive a car. If the player lets go of the space bar, the car begins to drift off of the road. The game ends when the player realizes he/she needs to let go of the space bar and let the car drift off the road. The player is then presented a scene where the car drifts in an open meadow and the game ends. Hi guys! So we’ve tried changing up our development process and these past two weeks we’ve been developing our individual games. 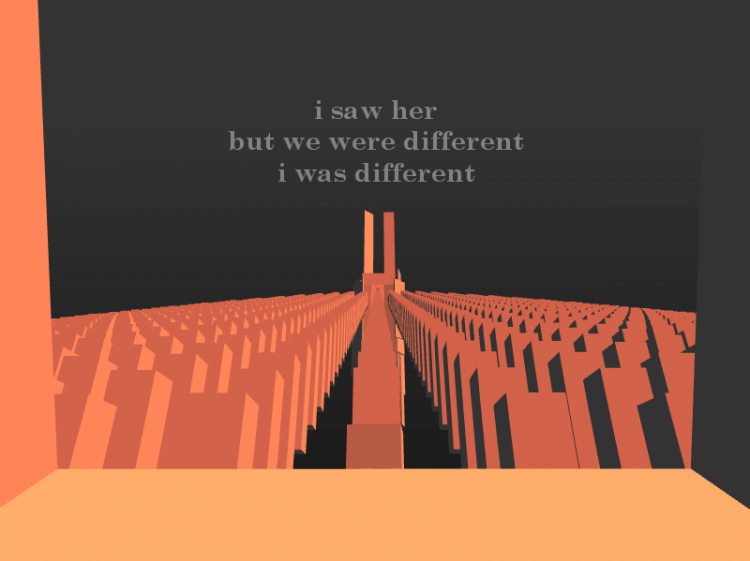 For today we will be releasing my game, Emptiness. Play it here, on Kongregate, or Newgrounds! And look forward to our upcoming games this week!